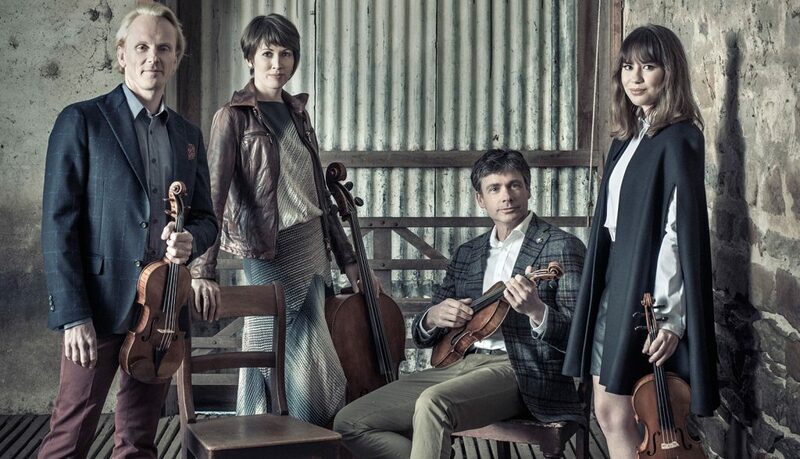 For over 30 years, the Australian String Quartet (ASQ) has created unforgettable chamber music experiences for national and international audiences. From its home base at the University of Adelaide, Elder Conservatorium of Music, the ASQ reaches out across Australia and the world to engage people with an outstanding program of performances, workshops, commissions and education projects. In recent years the ASQ has appeared at international music festivals and toured extensively throughout the United Kingdom, Europe, New Zealand and Asia. The Quartet members are Dale Barltrop (Violin), Francesca Hiew (Violin), Stephen King (Viola) and Sharon Grigoryan (Cello). The distinct sound of the ASQ is enhanced and unified by its matched set of 18th century Guadagnini instruments, handcrafted by Giovanni Battista Guadagnini between (circa) 1743 and 1784 in Turin and Piacenza, Italy. They are on loan to the ASQ for their exclusive use through the generosity of Ulrike Klein and UKARIA.